A quality end to an enjoyable series. A lot of 'inevitabilities' (some predictable, some not). There were some great sucker punches all throughout. - That we didn't spend more time fighting/in the presence of the Endsinger, though I'm very grateful we got what we did at least. - I'm still in two minds as to whether it was *really* necessary for anyone to die in sealing Yomi back up. There were arguments made about why someone couldn't just be flung ect ect, but most of them didn't hold much water for me. Apart from those it was a solid wrap up. It's a swift exciting read with basically the last two thirds page count-wise being the dramatic battle (turned even more battle ;p ). Bring tissues, especially if you have favourite characters. No one is safe. 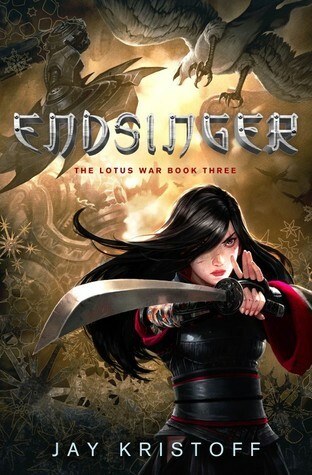 Sign into Goodreads to see if any of your friends have read Endsinger.